If you want to earn some $$$ promoting Convertful, join our Affiliate Program. We offer a 20% referral cut from all transactions made by your affiliates lifetime. Just follow the step-by-step guide below. 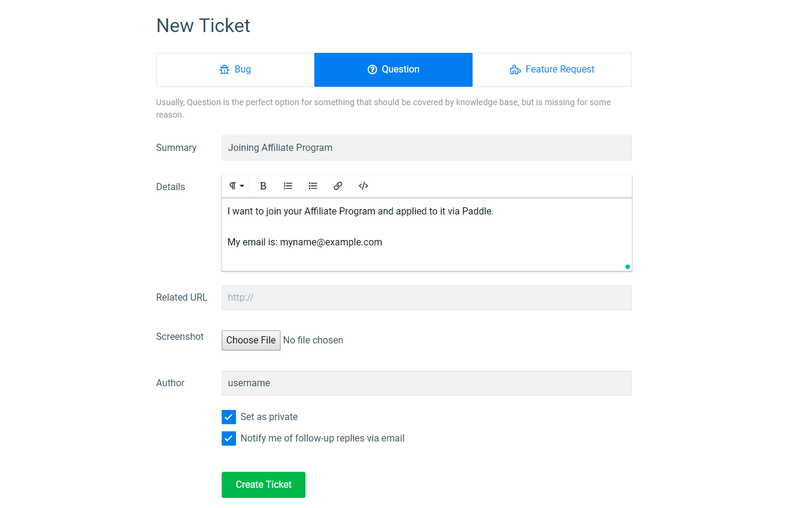 When applied at Paddle, create a private ticket at our Support Forum specifying the email you used to join the Affiliate Program. 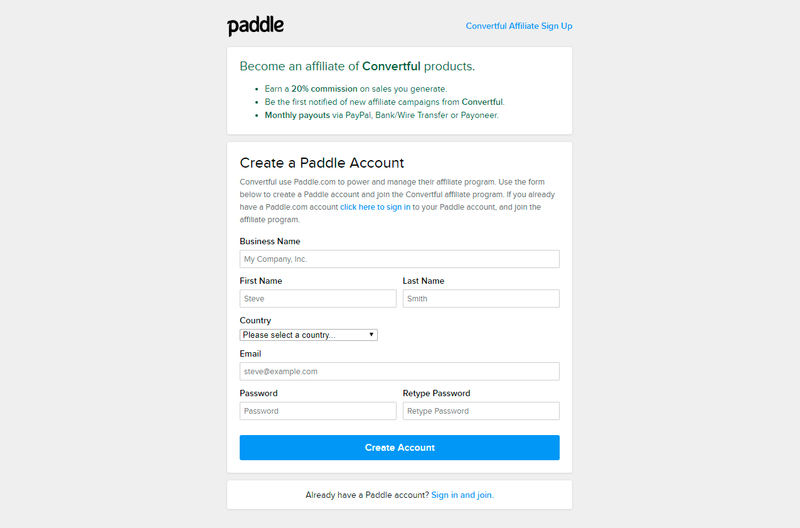 This way we could activate your application and connect your Paddle and Convertful accounts. 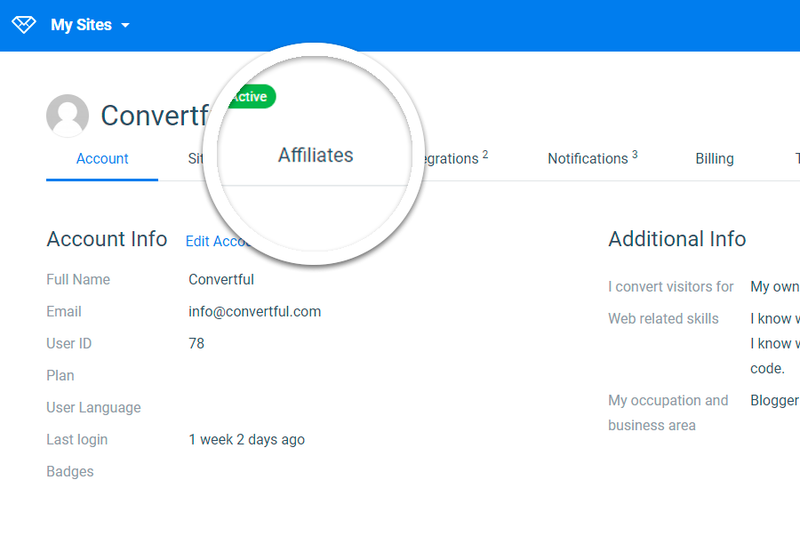 You can track your affiliates and their transactions in your Convertful account’s Profile >> Affiliates section. Will I receive 20% from my affiliate's first transaction only or all the transactions? How do I change my username before I start sharing links? For how long do you store the affiliate parameter cookie? You’ll receive 20% referral cut from ALL transactions made by your affiliates lifetime. We can change your username to any non-occupied that you prefer. Just create a private support ticket with your request. We store a cookie with your affiliate parameter on our site for 30 days. This is the amount of time that the visitor got to create his Convertful account following your link and to be marked as your affiliate.